(OPride) — On December 14, Christine Lagarde, the managing Director of the International Monetary Fund (IMF) arrived in Addis Ababa on a rare official visit to Ethiopia. The trip was significant for many reasons but most importantly for how and when it took place. The IMF Director’s Ethiopia visit calls to mind the classic novel – Alice in Wonderland! Alice’s adventure began when she curiously followed a white rabbit and plunged through a rabbit hole to a fantasy world populated with peculiar anthropomorphic creatures. Madam Lagarde may not be as inquisitive as Alice, but she did parachute into wonderland Ethiopia to talk with the authorities there, whose behaviors and actions are no less strange than those of the creatures in Alice Wonderland. There are other parallels. Alice was the first real human to visit that utopia; similarly, Lagarde was the first IMF chief to visit Ethiopia in the organization’s 72 years history. 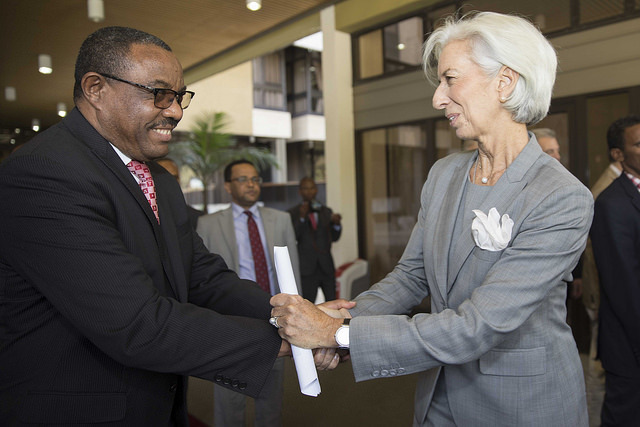 Understandably, Lagarde’s visit to Ethiopia raised many eyebrows. What was the rationale for her visit? More importantly, what explains its timing? To continue with Alice’s analogy, it is useful to know if there was a white rabbit that Lagarde was pursuing. In other words, who was the likely agent responsible for facilitating her Ethiopia visit? I was surprised to learn that IMF does not have a resident representative in Ethiopia. It is unclear whether it ever had one in the country. On the contrary, neighboring countries – Kenya, Sudan, Uganda, Tanzania, even the tiny Rwanda – each have a resident IMF representative. That Ethiopia — Africa’s second most populous country and one of its largest economies — does not have an IMF resident representative may sound extraordinary at first glance. However, a closer scrutiny underscores why IMF did not find it necessary to have a resident representative in the country. Interestingly, Ethiopia seems to have a unique and somewhat informal arrangement to install its own “resident representative” inside IMF. The seed of this cozy arrangement was sown in the early 1990s, when the late Meles Zenawi, who served as Ethiopia’s prime minister for 22 years until his death in 2012. A master of political intrigues, in 1994, Zenawi implanted his own agent in IMF, a certain young economist named, Abebe Aemro Selassie. Abebe was a principal economist in the Presidential Office – an Economic Advisor to Zenawi, when the latter was still President of Ethiopia during the transitional period after the demise of the communist Derg regime in 1991. It is no coincidence that, only a year after promoting Zenawi’s man at the IMF as the Director of the Africa region, Lagarde ventured to Ethiopia, a country that no other IMF leader visited before and one that doesn’t even have a resident representative. The minority regime in Addis Ababa has always found it profitable to invest the country’s scarce resources on expensive lobbying firms to seek legitimacy from external sources, notably governments, multilateral institutions, and other bilateral agencies operating in various fields. Ethiopia’s current rulers have relentlessly pursued this strategy since coming to power in the early 1990s. 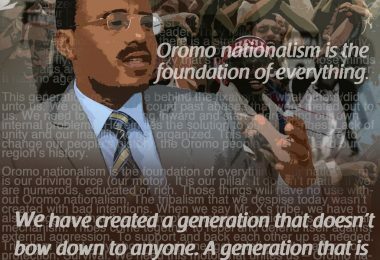 Abebe was perhaps among the first batch of loyalist cronies dispatched around the world on similar missions — to secure support for the minority regime and ensure the latter’s indefinite grip on power. Tedros Adhanom, who last year became Africa’s first WHO’s Director General, is among the latest such surrogates to ascend to global leadership. 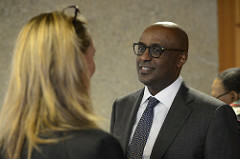 There are a number of ethnic Tigrayan “experts” who ascended to senior leadership positions over the last two decades at multinational institutions, including UNDP and the World Bank. Now that we have attempted to answer the question of who might be behind Lagarde’s Ethiopia visit, let’s turn to the more important question: why now? For the uninitiated, Lagarde’s mission was about economic policy or Ethiopia’s IMF-backed double-digit growth myth. However, for serious Ethiopia watchers, the IMF Director’s visit has more to do with internal politics than economics. No doubt that Ethiopia’s foreign exchange reserve has plummeted in recent months; the country is left with enough to pay for only a few weeks of import bills. However, to address this crisis, Ethiopia has already done what it was told to do by IMF – devalue the currency. The birr was devalued by 15 percent three weeks before Lagarde arrived. The birr has been devalued umpteen times in recent years without achieving the desired outcome. This tells us that the country’s economic malaise had to be found elsewhere – in the domain of politics and governance. When Lagarde landed in the capital, Ethiopia’s political crisis was at its peak. First, the federal government was falling apart. 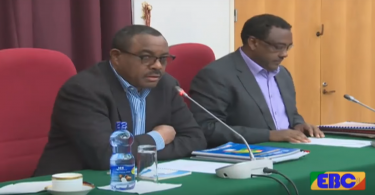 The executive committee of the ruling Ethiopian People’s Revolutionary Democratic Front (EPRDF) has been in a tense meeting for a few days in search of a consensus that remains elusive. 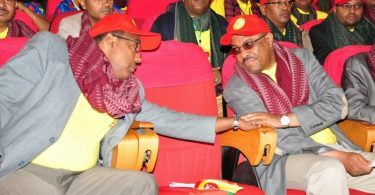 The EPRDF meeting was preceded by a 35-day marathon session in Mekelle, the capital of Tigray State, to fix differences among members of the Tigrayan People’s Liberation Front (TPLF), the dominant member of the four-party EPRDF coalition. EPRDF’s perennial problem and schism have reached a turning point, with TPLF refusing to share power in key federal government positions, its total control of commanding positions in the armed forces, as well as full monopoly of the country’s intelligence services. Second, a devastating war has intensified along Oromia and Somalia states border, a proxy war deliberately set up by TPLF through its divide and rule policy; deploying Ethiopia’s defense forces and the federal police alongside the notorious and murderous militia of Somali Regional State, better known as the Liyu Police; itself funded and trained by TPLF to foment inter-ethnic clashes as a means of clinging to power. Third, the Oromia-Somali fighting has already caused the internal displacement of over 700,000 Oromos — more than the number of Rohingya’s displaced in Myanmar. 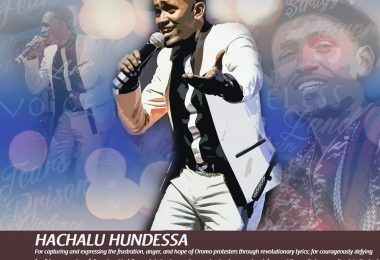 The TPLF-controlled federal government and its international backers and the media have turned a blind eye to the unfolding humanitarian crisis in Oromia. Consequently, the IDPs are now staying in makeshift camps set up single-handedly by the Oromia Regional Government and supported by resources mobilized from the Oromo people. Fourth, scores of students have been killed at multiple universities across the country in inter-ethnic clashes instigated by TPLF-dominated dark forces in the security and intelligence forces. It’s in the thick of these political, economic, and humanitarian crises that Lagarde visited Ethiopia and then left without saying a word about the unfolding crisis. It appears that her visit was carefully arranged for the sole purpose of creating a semblance of normalcy, as if Ethiopia’s current crisis is only the depletion of foreign exchange reserve. It was a last-ditch attempt by the Ethiopian authorities who leveraged their deep connection at the IMF to persuade Lagarde to fly in and offer some tacit approval to the crumpling TPLF machinery. Zenawi was farsighted enough to predict the high return on implanting surrogates in positions of power within key global institutions. The returns have been accruing to the EPRDF regime from the work of their man at IMF. Facilitating Lagarde’s visit to Ethiopia at a time when the authorities needed a boost was only the tip of the iceberg. Abebe has done monumental deeds for the regime in his earlier position as a deputy director of IMF’s Africa Division. As a deputy, he led the team that works on economic forecasts and production of Regional Economic Outlook for sub-Saharan Africa. This publication is a part of the World Economic Outlook, IMF’s flagship publication, which is by far the single most important and highly influential document. It is widely read by policymakers, the media, academics, and practitioners all over the world. As I explained last year, there are serious and inherent flaws with Ethiopia’s accounting practices. It has puzzled many who have tried to make sense of the origin of Ethiopia’s double-digit economic growth bonanza. But how badly has Ethiopia’s economic data been cooked at IMF? I have explained at length the problems with Ethiopia’s economic data in a piece entitled: Ethiopia’s economic growth borrows from ENRON’s accounting. I won’t repeat the evidences provided in that piece here. Instead, let’s look at additional pieces of evidence related to IMF’s role in skewing a vital component in economic growth forecasting: population. As shown in Figure 1, IMF claims that Ethiopia’s current population estimated at 92.7 million. However, many internal and external sources, including the widely cited CIA Factbook, show that Ethiopia’s population passed the 100 million mark a few years ago. For example, the United Nations Population Fund (UNFPA), which records global vital population statistics, projects Ethiopia’s population at 105 million. The July 2017 estimate by the CIA Factbook puts the number at 105.3 million. This means that IMF is underestimating Ethiopia’s population at least by a whopping 12.3 million. That is roughly equal to the current population of Chad or Guinea; and greater than those of 23 Sub-Saharan African countries, including Rwanda, Burundi, Togo, Eritrea, and Sierra Leone. This isn’t a new practice at the IMF. The organization has underestimated Ethiopia’s population for years. The gap between IMF and other population forecasts became increasingly wide over the last decade, particularly since early 2000s. It was around this time that Addis Ababa began to aggressively push the rapid economic growth narrative. The reader may wonder how underestimating a country’s total population helps Ethiopia. First, per capita GDP (GDP/Population) is by far the most important and commonly used economic indicator to assess a country’s levels of prosperity. Critically, the authorities in Addis Ababa are vying to propel Ethiopia into joining the ranks of middle-income countries by 2025. They seem to think that they could meet that target by simply cooking economic data and doing little else. Second, in addition to looking better relative to other nations, prosperity of nations is measured by looking at how per capita income —a proxy for standard of living —grows over time. Irresponsible regimes can show progress or prosperity by simply fudging the numbers. This can be done by overestimating the numerator (GDP) or underestimating the denominator (population) or a combination of the two figures. IMF economic reports seem to have become another battlefield for Ethio-Eritrean war. 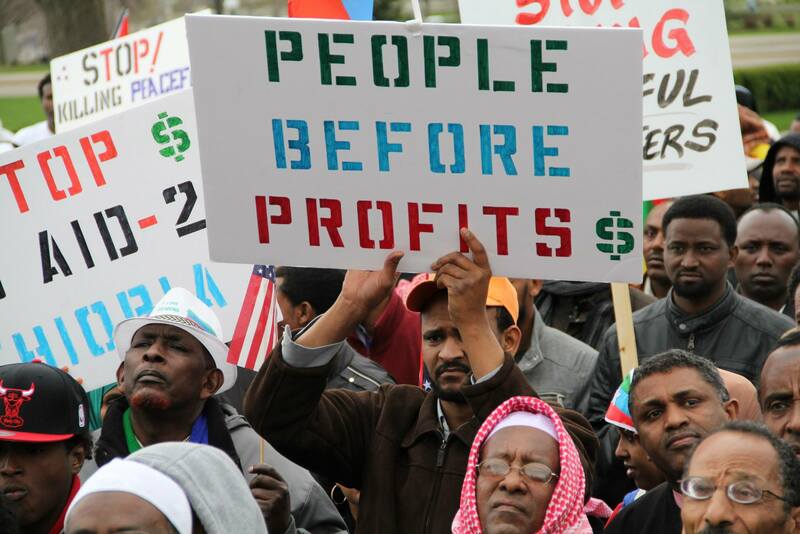 While generating unrealistically high economic growth figures for Ethiopia, the organization was doing the exact opposite in Eritrea. Eritreans have long alleged that it was Zenawi’s man who was cooking data and bending facts at IMF, benefiting the regime in Addis Ababa and hurting Asmara, Ethiopia’s archenemy. Eritrean authorities have formally complained to IMF about the unethical standards — something the IMF had apparently admitted and then claimed to have adjusted some figures. But, as shown below, no such adjustments seem to have taken place, at least in the 2017 World Economic Outlook. There are credible evidences to suggest that Eritrea’s economic growth performance was never as bad as it has been presented in IMF publications. For instance, the Economist Intelligence Unit (EIU), Abebe Selassie’s own former employer, estimated Eritrea’s economic growth rate at 7 percent and 8 percent in 2013 and 2014 respectively. However, according to Eritrea’s GDP series reported in IMF’s 2017 World Economic Outlook, Eritrea’s real GDP growth was negative (-0.24 percent) in 2013 and 1.6 percent in 2014. Similarly, the African Development Bank reported that Eritrea’s Real GDP growth was 4.8 percent in 2015 and 3.8 percent in 2016, whereas IMF projected Eritrea’s GDP at 1.43 percent and 0.36 percent respectively. 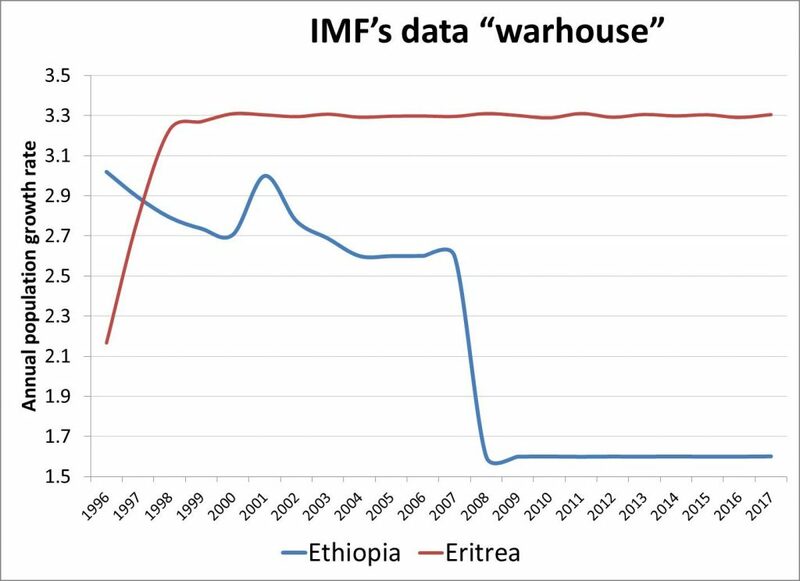 Nothing more clearly indicates the double standard, as well as the extremely low ethical standards, at IMF than the way Ethiopian and Eritrean population data are manipulated. Fig. 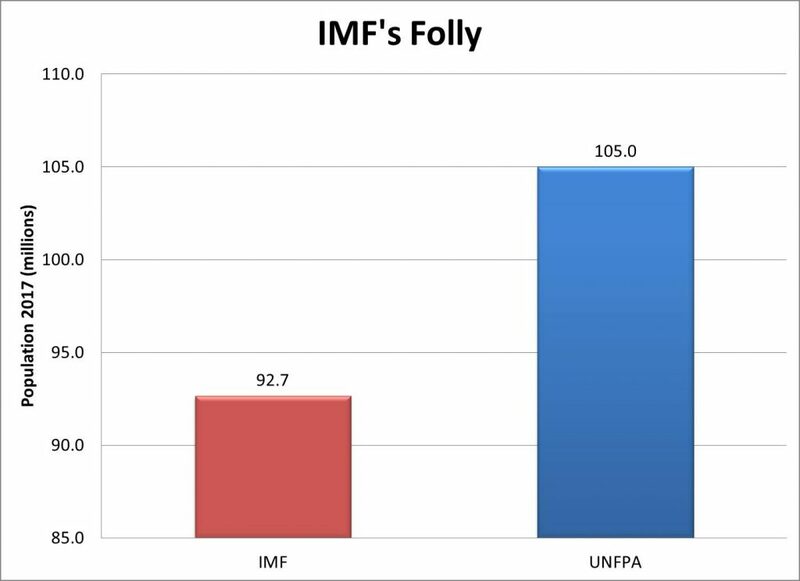 2 explains how IMF managed to grossly underestimate Ethiopia’s population. The chart is generated using data from the 2017 World Economic Outlook, juxtaposing the two country’s population growth rates for the last two decades. In 1996, Ethiopia’s population growth rate was around 3.0 percent while Eritrea’s was 2.2 percent. This was much more realistic. Population growth rate comes from two sources – net in-migration (in migration minus out-migration) plus natural population growth rate (births minus deaths). Given that Eritrea has a very high out-migration and given that there is no miraculous way Ethiopia’s natural growth could be lower than that of Eritrea, then we expect Ethiopia’s population growth rate to be higher or at the very least about the same with that of Eritrea. In that context, the IMF data in Fig. 2 does not make sense whatsoever. Eritrea’s population growth rate was pushed up until it hit the 3.3 percent mark in about three years (1996 to 1999), and then it was frozen at that position. On the other hand, Ethiopia’s population growth rate was being pulled down progressively over the years and finally made to plummet to a 1.6 percent in 2008. It has stayed there ever since, leaving a 1.7 percent gap between the two countries’ population growth rates. Ironically, the same authorities who use the clout of their agent at IMF to inflate Eritrea’s population growth rate, also undertake a huge propaganda campaign about excessive youth out-migration from Eritrea. They want to have it both ways. In Alice Wonderland, “where is the garden?” Alice kept enquiring, after hearing from one of the creatures about a beautiful garden in that utopia. When she finally arrived, the young Alice saw some strange gardeners doing something rather silly. She was honest enough to tell them the truth: why on earth are you painting a white rose with a red color? By contrast, during her Ethiopia visit, the French diplomat was extremely economical with the truth. Lagarde chose to visit one of Ethiopia’s white elephants — a Chinese built industrial park — the latest obsession of Ethiopia’s autocrats, who keep lurching from one mega project to another. There are many reasons for their steadfast commitment to build one white elephant after another. First, it is all about land grab, “legally” confiscating public or private assets and transferring to themselves, their associates, and foreign firms. Second, mega projects are used as a vehicle for creating opportunities for highly interconnected crony businesses. Third, in the case of industrial parks, their presence gives a semblance of business friendly environment and a manufacturing boom to entice foreign investors and attract FDI. The likes of Lagarde are quick to run away with only the third factor. I have struggled to find anything of substance to pick from her not so eventful visit to Ethiopia. Of course, she kept throwing around her ideological mantra at every occasion. She remarked, “I am really pleased to have seen some international companies from China and the Netherlands, manufacturing to international standards for export purposes,” saying nothing about adverse consequences of the foreign direct investment in Ethiopia. Flexible monetary policy and privatization were running themes of her discussions at gathering of experts from local and international organizations. Perhaps Lagarde’s visit to Ethiopia will be remembered for her cautious but lousy banter that “Ethiopia is doing well in terms of economic growth.” As discussed, her organization is responsible for cooking the numbers that generated the high economic growth rate she was talking about. The people of Ethiopia have not felt the effect of that growth; so they find irritating any mention of their country’s nonexistent double-digit growth. In that respect, Lagarde, while polite to the Ethiopian elites who hosted her, she was largely tactless and even rude to the ordinary people in Ethiopia.